The heart of the city, where everyone from tourist to tout seems to congregate, is the Piazza de Duomo and the Piazza della Signoria. The statues dominating the Piazza della Signoria commemorate major historical events of the city's life, and the magnificent Palazzo Vecchio still performs its original role as Florence's town hall. The adjacent Uffizi is the oldest art gallery in the world, with a collection of the greatest works of the Renaissance, commissioned largely by the Medici family. The man who founded the great long-ruling Medici dynasty was Cosimo il Vecchio. His legacy is imprinted in the city's northern area, marked by the churches of San Lorenzo, San Marco and the Palazzo Medici Riccardi. The western stretches of the city are formed by Florence's railway station at one end and the Ponte Vecchio at the other. The quaint Ponte Vecchio bridge was built in 1345, and was one of the few areas to emerge unscathed from the wartime bombs. Little workshops that used to belong to butchers, tanners and blacksmiths peer onto the river from their timber supports. The church of Santa Maria Novella also rises from the city's western boundaries in true gothic splendour, preserving some of the most important works of art in Florence. The Oltrarno (meaning 'over the Arno') area became the place from which the Medici ruled from the Palazzo Pitti. The magnificent Boboli Gardens were designed and laid out around it. The area surrounding Via Maggio and Piazza di Santo Spirito boasts a collection of other palazzi built during the 16th and 17th-centuries. Siena is one of Italy's best-preserved medieval cities, and one of the major drawcards for visitors to the popular regions of Umbria and Tuscany. The city's historic centre is a UNESCO World Heritage Site and is only accessible on foot. Siena's peak as a wealthy city-state dates back to the 13th-century, when the Duomo di Siena was completed along with the distinctly scallop-shaped Piazza del Campo, regarded as one of the finest public spaces in Europe. The town's university was founded in 1240, and to this day ranks as one of the most prestigious in Italy, while its student population enlivens the traditionally conservative local population. Amid the winding lanes of the medieval city are many gorgeous churches and museums, filled with artistic riches. Chief among these are the 13th-century Gothic-styled Chiesa di San Domenico and the imposing Fortezza Medicea; while the Sanctuary of St. Catherine's of Siena is a pilgrimage site for many seeking benefits from the reputedly miraculous crucifix it houses. All of Siena's streets are a delight to explore while on holiday but some of its most notable landmarks include the Torre de Mangia, Palazzo Pubblico, the Duomo, Palazzo Piccolomini, Pinacoteca Nazionale and Museo dell'Opera. Torre del Mangia is the bell tower to the left of Palazzo Pubblico which stands at 330ft (102m), the second highest in Italy. It is named after the first bell ringer who was known for his infuriating idleness. The Palazzo Pubblico still serves as Siena's town hall although sections of it are open to the public. The Palazzo Piccolomini, built in 1460 for the prosperous Piccolomini family, contains Sienese state archives and financial records. The Pinacoteca Nazionale gallery is noted for its collection of works by artists of the Siena School. Siena's spectacular Duomo is unsurpassed amongst Italy's churches, built in full Gothic style. The carved pulpit panels, by Nicola Pisano, are magnificent depictions from The Life of Christ. Many of the original statues on the church's façade are copies; the originals are in the Museo dell'Opera del Duomo. 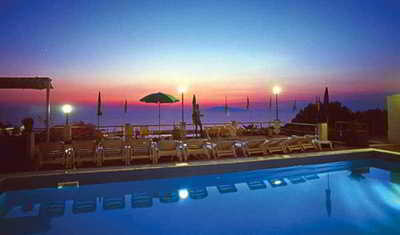 The glitterati of ancient Rome chose Sorrento, with its breathtaking views from the cliff tops over the Bay of Naples, as the place to build their sumptuous summer villas, and today the pretty town remains southern Italy's favourite holiday destination, for both local and foreign visitors. The rugged coastline does not offer beaches (except a few rocky strands privately owned by the larger hotels) but Sorrento is perfectly placed for visiting the most popular tourist attractions in the area, including Pompeii, the summit of Mount Vesuvius, the picturesque towns of the Amalfi Drive, and the delightful Isle of Capri with its blue grotto, just a few miles offshore. The bustling city of Naples is also just an hour's train ride away on the narrow-gauge Circumvesuviana line. The town itself is crammed with hotels and apartments, all tastefully blended into the traditional red-roofed architecture stepped down the hillsides amid fragrant citrus groves. The streets tend to be a choked nightmare of chaotic traffic, particularly during the height of the season. The most quaint spot is the little fishing harbour of Marina Grande, set in an inlet where you might find a vacant rock to sunbathe on while soaking up the atmosphere. Capri's beauty captured the imagination of the Roman Emperor Augustus in 29 BC, and continues to draw admiring crowds to its picturesque banks. Ferries and hydrofoils transport travellers from Sorrento, Positano, Amalfi and Naples to its embarkation point at Marina Grande. From here, a funicular runs to the town's Piazza Umberto. The island's main attraction is the Blue Grotto. This sea-cave is illuminated a fantastic neon blue, caused by the interplay of light and water. The ruins of Villa Tiberio can be explored following a 45-minute trek up the nearby hill. Legend has it that Tiberius tossed those unfortunate enough to anger him off the precipice; though, luckily, walking down is an option nowadays. On the descent along the path one can take a short detour to the Arco Naturale. This weathered stone arch on the island's eastern cliffs provides the perfect perspective from which to contemplate the vista that stretches to Paestum. Another interesting villa to explore is the Villa San Michele (in Anacapri), the magnum opus of Swedish author and physician Axel Munthe. Henry James described it as 'the most fantastic beauty, poetry, and inutility that I have ever seen clustered together.' Also in Anacapri, take the 12-minute chairlift to the summit of Monte Solaro to experience the breathtaking views stretching to the distant Apennines and Calabria mountains. Italy's third-largest city thrives on the chaos that prevails amid its busy streets. This is the place where pizza was invented, and its restaurants continue to serve some of Italy's finest cuisine. Sheltered by the Bay of Naples and dominated by the slopes of Mount Vesuvius, Naples is imbued with the best of nature's bounty. The city is somewhat schizophrenic in its juxtaposition of superb museums and Renaissance and Baroque churches alongside crumbling tenement blocks and squalor. Noisy markets sell a collection of items, from high-quality fresh produce to fake designer goods. Roads are characteristically hectic with gung-ho moped drivers weaving wildly through the streets and frustrating traffic jams clogging the city's arteries. Despite these less refined elements, Naples is a fascinating destination and a great base from which to explore popular attractions like the Amalfi Coast, Pompeii and Herculaneum. The city's transport hub is located around the immense Piazza Garibaldi, on the east side of Naples. The area's growing African population has imbued the streets with the flavours of its immigrants. Southwest from here is the Piazza Bovio, and branching to the left of it, the Piazza Municipio and nearby Piazza del Plebiscito. On the watery edges are the Molo Beverollo and the Stazione Marittima, the point of departure for ferries. From the reaches of Spaccanapoli one can explore the historic part of Naples with its numerous palaces and churches. ​​Diplomat Hotel is located in the historic center within a few minutes' walk from the train station, the main shopping center and the convention center. The hotel features a minimalistic design, a small lobby with a sitting area, a breakfast room with a view of the city and comfortable accommodations. 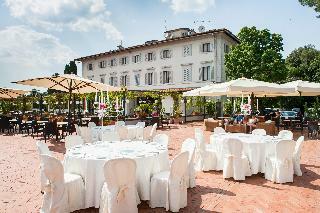 ​This charming hotel sits among elegant gardens and holly trees in an awe-inspiring Tuscan villa near Siena. Guests can enjoy a game of tennis on the hotel`s tennis court or relax by the refreshing outdoor pool. Alternatively, visitors may wish to see the historic city centre of Siena, featuring the celebrated Piazza del Campo, a stunning Gothic cathedral, several fantastic art museums, and beautiful botanical gardens. The hotel`s classic, Tuscan rooms and suites feature antique furnishings, pretty park views, and modern amenities. Guests can wake up to a rich and varied breakfast buffet featuring a wide selection of pastries made each morning by the in-house pastry chef, and sample local specialties in the restaurant. The hotel also provides free parking for added convenience, as well as a large conference centre with modern meeting rooms capable of seating up to 600 people, and making it ideal for business and social events. 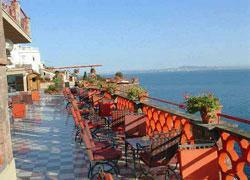 ​Minerva Hotel is located only a 10-minute walk from the city center. The hotel features a terrace with a wonderful view of the Mediterranean, a rooftop pool, a cold-water Jacuzzi, a solarium and a gym. 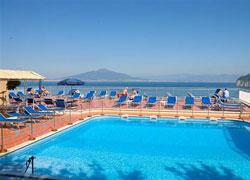 This family-friendly hotel lies about 350 m from the city centre and some 2 km from the beach. Naples airport is approximately 30 km away. This hotel comprises a total of 24 rooms, including 2 junior suites and 2 suites. The air-conditioned lobby houses a 24-hour reception, a safe, a currency exchange facility and a lift. 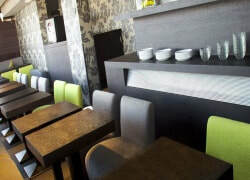 Within the hotel there is also a cafe, a bar, a TV room, and a breakfast room. For an additional fee, guests may use the Internet connection. Room and laundry services, as well as medical facilities, are also on offer. The rooms come with an en suite bathroom with a hairdryer, a direct dial telephone, satellite/ cable TV, an Internet connection, a minibar, a double bed, a hire safe, and a terrace. There is central heating and guests can adjust the air conditioning. The luxurious suites additionally include a sitting area and a hydromassage shower. There is a swimming pool in the grounds, as well as sun loungers and parasols laid out ready for use. Guests can relax in the Jacuzzi and solarium. The Royal Continental hotel on Naples` seafront promenade is both elegant and functional and replies to the needs of even the most demanding guest offering a comfortable and appeal setting for both business and leisure travellers. The meticulous attention paid to every detail of its innovative style and design make this property even more welcoming and sunny. a leisurely stroll around the hotel will bring you to many of the city`s main attractions and monuments like the Borgo Marinari fishing districts, the Piazza Plebiscito square, the Palazzo Reale, the Teatro of San Carlo opera house, the Galleria Umberto I, the Maschio angioino , Naples` most famous shopping streets and many museums. All rooms have either double beds or twin beds, air conditioning with in-room regulation, wardrobe with safe, minibar, two telephones with separate lines (one on the bedroom and one in the bathroom), LCD TV, satellite channels, Film on Demand, broad-band Internet and Wi-fi. Guests should note that local city tax is not included in the rate booked. This will be charged directly to guests by the hotel and payable at check in/out. Pets until 10 kg are ammitted, with an extra cost of 20,00 euro per night. Two routes - one ticket! In the romantic region of Tuscany lies the jewel city of the Renaissance, Florence. Surrounded by the Appenine mountain chain it lies in a fertile valley surrounded by the charming Tuscan vinyards and olive groves. The art galleries and museums of Florence are renowned throughout the world and holiday makers flock to admire the superb David of Michaelangelo, the Venus of Botticelli or the stunning Duomo with its marble facade which glows in the golden sunlight. Your ticket is valid on Line A and Line B routes. Enjoy the charm of the Chianti countryside, one of the most romantic areas of Tuscany, renowned all over the world for its famous wines, as well as for its landscapes, vineyards, olive groves and cypresses surrounding churches, parishes, castles and villages hidden all over the hills. The first stop will be at a cozy winery in the Chianti Classico area where the owner will share some secrets of winemaking and you can enjoy a tasting of renowned wines and local products before continuing on to the medieval village of Greve. Here you will have free time to explore the main square with its arcades and artisan shops. Next, we will travel along the Via Chiantigiana and cross the Sienese Chianti Classico area rich with spectacular views of Tuscany before stopping at a family-run winery known for wines of excellent quality. The winemaker will give a guided tour of the cellars before your wine tasting of four wines and local products. The last stop of the tour will be Castellina, a charming hilltop village with quaint shops, houses and squares, before returning to Florence. ​Prepare traditional Italian recipes for a delicious 4-course meal. The chef will guide you through the preparation of three dishes plus a traditional Tuscan dessert. Your expericence will end with a delicious meal comprised of the dishes created along with a glass of Tuscan wine. 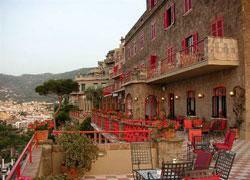 ​Departing Sorrento, the coach joins the Amalfi Coastal Road, one of the most scenic coastal drives in Europe. The scenery is superb, looking out over the Mediterranean and along the coastline as the road twists and turns its way towards Positano (approx. 20 minutes from Sorrento). The town is built on different levels from the main road all the way down to sea level. The town of Positano looks like a waterfall cascading down the rocks to the sea, as the coach stops here, guests can enjoy the view and take photos from the bus. This spectacular journey continues with fabulous views all the way to Amalfi (approximately 1 hour). Arrive in Amalfi where guests have free time (boat guided tour by sea when possible due to availability and weather conditions. Here, they can visit the magnificent 9th century Cathedral which proudly dominates the main square of Amalfi and wander through the narrow streets of the town and browse around the many shops or enjoy a coffee in one of the cafes around Amalfi. The excursion's lunch stop (cost not included), after Amalfi, is in the small village of Scala, from where there are excellent views over Ravello. 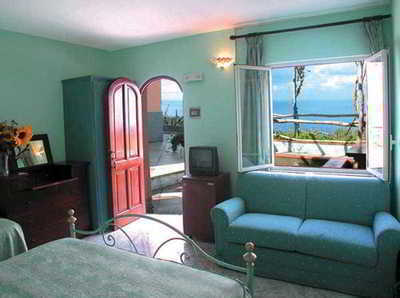 The excursion carries on to Ravello, which is situated on the hillside above Amalfi. This is where Wagner was inspired to write part of one of his operas, and it is from here that you can enjoy the best views of the Amalfi coastline looking over to Minori, Maiori and beyond. This quaint little town has a main square where the centerpiece is the bright picturesque eleventh century cathedral. 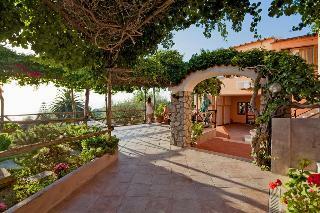 Another option is to visit the Villa Rufolo with it's gardens and wonderful views. Capri is the jewel of the Bay of Naples, a magical island set in a brilliant blue and turquoise sea. A pleasant crossing by catamaran or hydrofoil (approx 30 minutes) and a short minibus drive will take you up to Anacapri, the second largest village on the island. Visit the center of Capri with the famous Piazzetta“Little Square”. View the Faraglioni rocks, the splendid geological formations undoubtedly the best known feature of the island's jagged form. Towards the top of the island is the Gardens of Augustus, a retreat into a natural paradise, complete with unforgettable panoramas. The garden's tranquility and natural beauty is nothing if not therapy. During the tour you may choose to visit the Villa San Michele (not included), the former home of the Swedish physician and writer Axel Munthe, author of the Story of San Michele, built on the site of an ancient Roman villa and containing some marvelous relics and furniture. You will get approximately 1 hour of free time on this tour to enjoy some shopping and a bite to eat. For those who would be interested in visiting the Blue Grotto, weather permitting, this can also be arranged locally during your free time. Hydrofoil or catamaran via Naples. Click here for a guide to each city you'll visit. You can view it from your phone, save it, or print it out.